MOSCOW, July 9. /TASS/. Russia’s decision to veto the UN Security Council’s resolution on the 20th anniversary of tragic events in the Moslem enclave of Srebrenica is called upon to prevent a possible destabilization in Bosnia and Herzegovina and in the Balkans on the whole, a senior Russian expert on Slavonic studies told TASS on Thursday. In addition to this, the resolution drafted by Britain was rather biased and spotlighted just one party to the ethnic conflict in the former Yugoslavia or, to be more precise, the Serbs, Dr. Yelena Guskova, the director of the Center for Contemporary Balkan Crisis Studies at the Moscow-based Institute for Slavonic Studies told TASS. 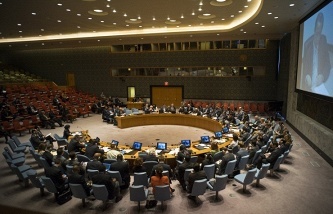 The UN Security Council failed to endorse the draft resolution on Srebrenica on Wednesday, as Russia, which is one of the council’s five permanent members, imposed a veto on it. The document qualified the death of about 8,000 male Bosnian Moslems in Srebrenica in July 1995 as genocide. 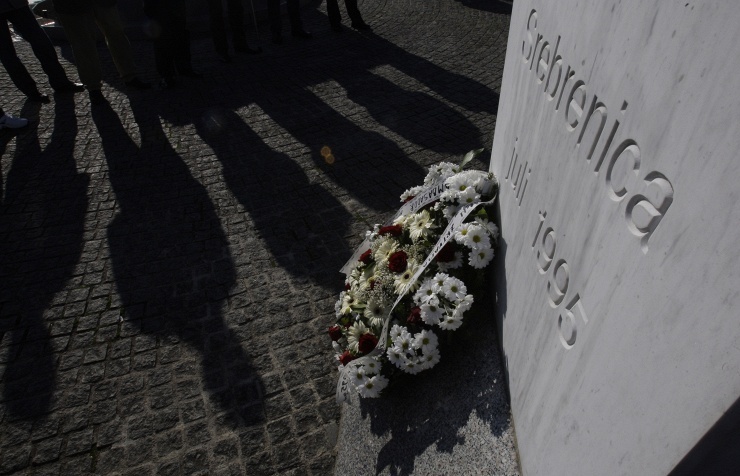 Russia’s ambassador to the UN, Vitaly Churkin said in this connection Russia was calling for an all-embracing investigation of criminal offences committed by members of all the ethnic communities during the civil war in Bosnia and Herzegovina. He called into question the striving by a number of Western countries to pass Bosnian Moslems off as the main victims of the wars that rocked Yugoslavia from 1992 through 2001. “The Serbs suffered no less than others in that conflict and that’s why the international community has a fundamental task of attaining full reconciliation and bringing the situation in Bosnia back to normal,” Churkin said. All in all, the Bosnian civil war of 1992 to 1995 carried away the lives of almost 100,000 people – Moslems, Serbs and Croats. Dr. Guskova recalled in this connection that internal law defines as genocide the actions aimed at a premeditated extermination of a nationality, as well as a racial, religious or any other historically formed cultural/ethnic group. “Quite possibly, a war crime was committed in Srebrenica but the fact is yet to be proven,” Dr. Guskova said. She did not rule out that the Moslem side had conscientiously overstated the number of victims in order to get the West’s interference in the Bosnian conflict. “Nonetheless, the International Tribunal for the former Yugoslavia in The Hague stated in 2004 that the events in Srebrenica had been an act of genocide, even though it didn’t have weighty facts to prove the claim,” Dr. Guskova said adding that if the Security Council had endorsed the resolution on Wednesday, there would have been no opportunity then to call the ‘genocide’ qualification into question. “This would have also ruled out any studies of or research into the events of twenty years ago,” she said. Dr. Guskova believes that the British resolution was on the whole aimed to discredit Republika Srpska within Bosnia and to lay the groundwork for its elimination in the future. “The resolution made it possible to blame one ethnic group as a culprit of all the wars that occurred in the Balkans in the 1990’s and hence to justify NATO’s actions of 1999 when the pact claimed it was pounding with bombs the guilty ones,” she said. “Russia acted as an independent factor of unbiased treatment in international relations and this means really much for Slavic peoples in the Balkans,” the expert said.